Building a working and profitable business structure is a real art when you know the subtleties of the right, and you can think beyond stereotypes. Bilyana has studied Law at Sofia University "St. Kliment Ohridski "(2004). She has masters degree in American Business Law and managerial experience from Delaware, USA. Lawyer with interests in the field of international business law and management, intellectual and industrial property law. Member of the Sofia Bar Association. Lawyer with specialization in international business law, intellectual property law and more specifically IT & BPO. 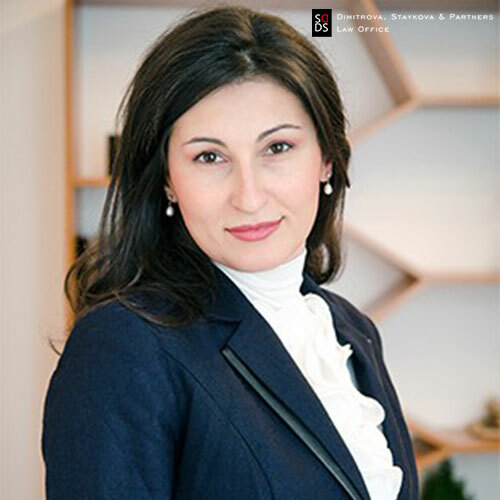 She has participated in a number of projects for the construction and management of cross-border corporations with Bulgarian participation. He is a consultant on televisions, production houses, music groups and actors. Her law office has a special legal assistance program for start-up companies when they start their business and receive and manage StartUp funding. Her team is an official partner of the European Commission under the Startup Europe Week initiative, which assists young entrepreneurs in the realization of their ideas. She and her colleagues participate as lecturers in law and moderators in the annual events organized as part of the initiative.